Location Links Add-On & Other New Updates! We’ve been hard at work here at Teachworks and we have some new features to share with you! We’ve recently added a User Time Zones Add-on to simplify scheduling for online tutors and we will keep adding more features that will allow online tutors to work more efficiently. 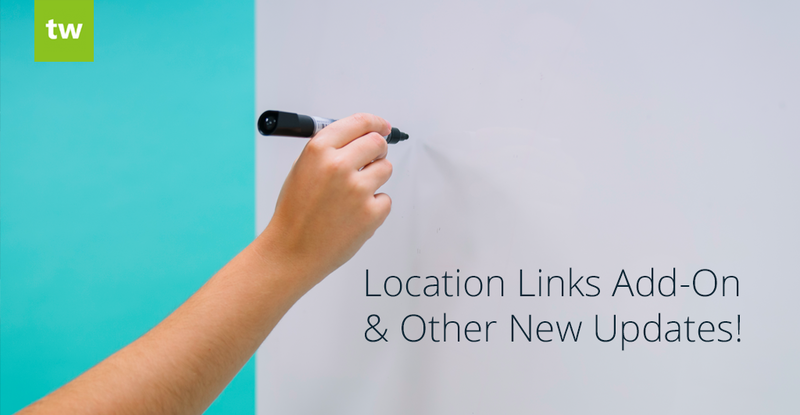 Our first additional feature is a new Location Links Add-On. This add-on allows you to convert a location name into a clickable link (online tutoring companies can add links to whiteboards or meeting rooms). Once enabled, you’ll be able to add links to existing or new locations. Students and tutors can easily click on the link directly from the calendar or even on their lesson reminder email when the lesson commences. If students are tutored at their homes, a physical location can also be added to this field (for example, you could add a Google Maps link in this field). 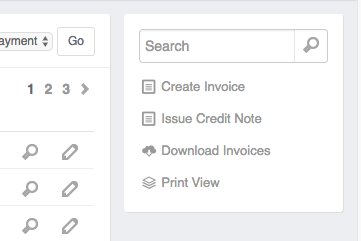 We’ve added the option to view multiple invoices on a single page. If you like to give your clients a hardcopy of their invoice, this new feature will speed up the printing process significantly. To find this view, go to Billing -> Invoices and then click on the Print View link in the sidebar. If you would like to print invoices in bulk, you can use your browser’s built in print settings to print invoices directly or save them in PDF format (you’ll be able to print up to 40 at a time). Do you use our Lending Library Add-on to record and manage items lent to students? We’ve extended this feature to allow you to lend items to employees as well. To enable this option for employees, go to Account & Settings -> Integrations & Add-ons and click on the Settings link under the Lending Library Add-on. You can choose to enable this feature for both employees and students, or just students, or just employees. Once you’ve enabled the option to lend items to employees, a lending library link will be added under the Employees tab. We’ve added separate columns for first and last names in student, family and employee tables. You can easily sort clients by first or last name alphabetically (depending on your preferences) by clicking on the title of the relevant column. If you download Other Event History to Excel, you will notice a new column entitled “hours”. This column shows the duration of an event in hours. We’ve added “Send Only” and “Send & View Logs” as email permission options for Staff accounts.